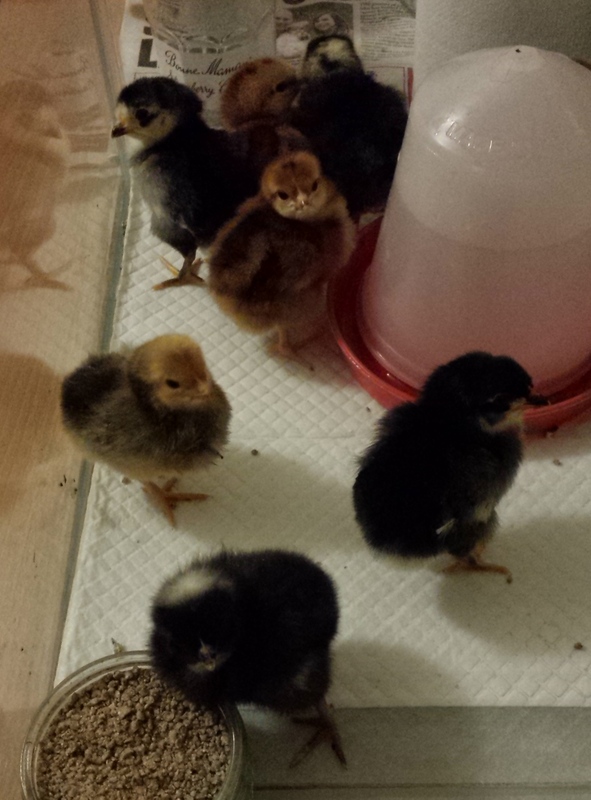 I only hatch birds that I expect to be able to find homes for. With this in mind I bought some eggs of chickens that lay really dark brown ones – French Marans that have feathered legs (not English Marans, like Peggy, whose legs are not feathered and so are easier to keep but whose eggs are not half as dark as French Marans) and Welsummer… However Lou (who also hadn’t started incubating) was having a rough time so I gave them to her to cheer her up…………. 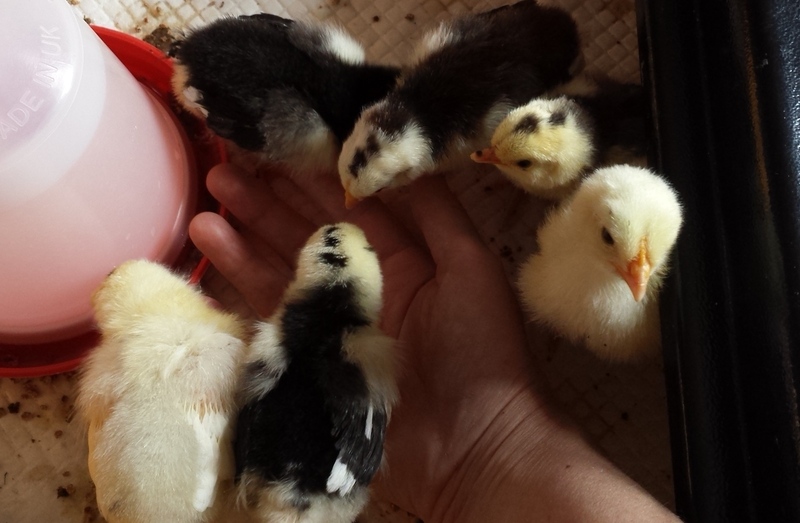 Of those 30 hatched, 17 of mine and 13 of Lou’s 8th-12th March 2014: 22 Leghorns, 3 Rhode Island Reds, 2 Plymouth Rock, 2 Vorwerk and 1 Brahma. 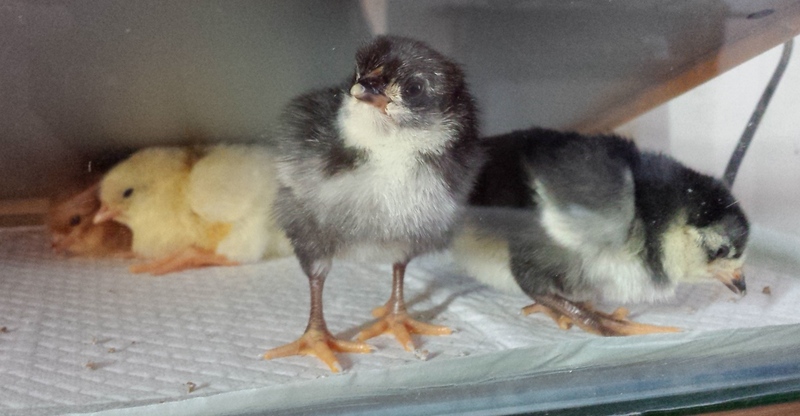 Here are the first 4 hatched – the oldest 2 which are black Leghorns, with a white Leghorn behind and the fourth hatched, a Rhode Island Red. A mixture of Leghorns – black, exchequer (black mottled) and white. Some of the other breeds – Plymouth Rock at the front, Vorwerk and a Leghorn behind, Rhode Island Red by the drinker, other Leghorns & another RIR behind.